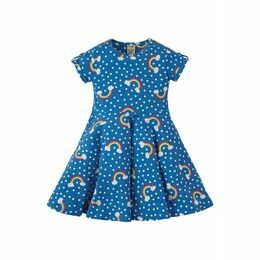 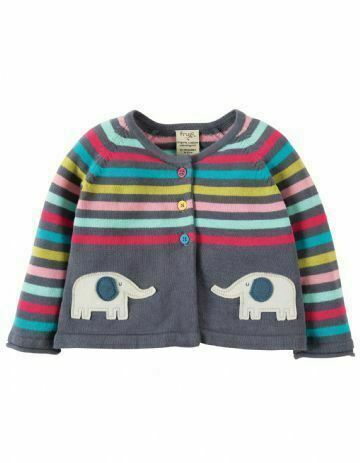 Give your wardrobe an elephant themed makeover with this Suzy Swing Cotton Cardigan from Frugi. 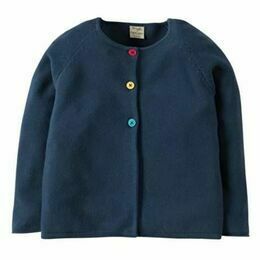 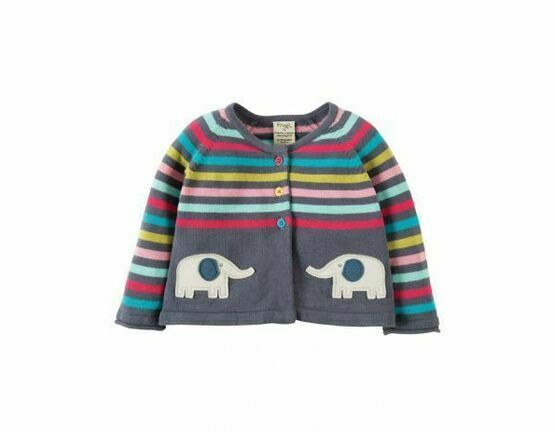 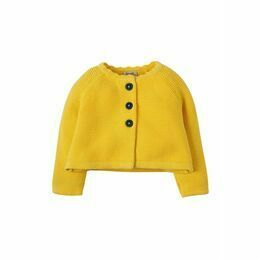 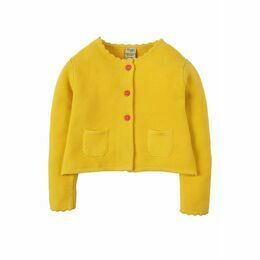 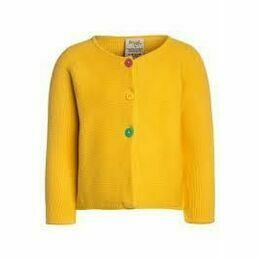 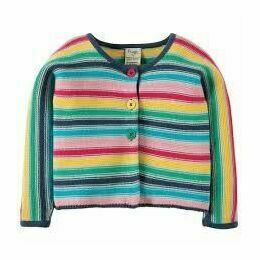 The cardigan has a stripey rainbow pattern and 2 appliqued elephants on the front with three multicoloured buttons. 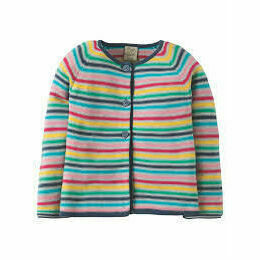 Perfect for layering up over tops, dresses & pinafores.